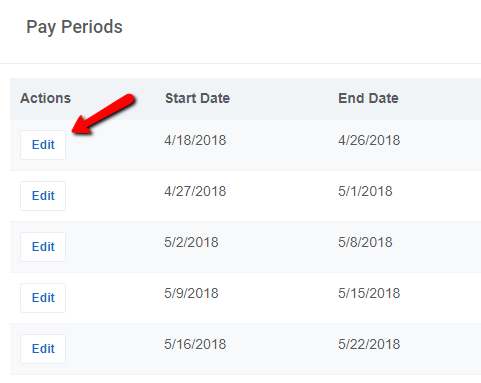 How do I change my pay periods? You can change your current and future pay periods right in the application. Changing a pay period will affect every employee's time card - and every time card will have to be recalculated based on the new period. We lock past pay periods from user change as a security feature, but we're happy to change things to fit your needs. Just let us know! To change current and future pay periods log in as an administrator and go to Settings --> Pay Periods.